Who: Grades 3 – 5 When: Once a month, dates and times vary based on activity and are communicated in the Newsletter, E-News, and weekly emails. What is it? 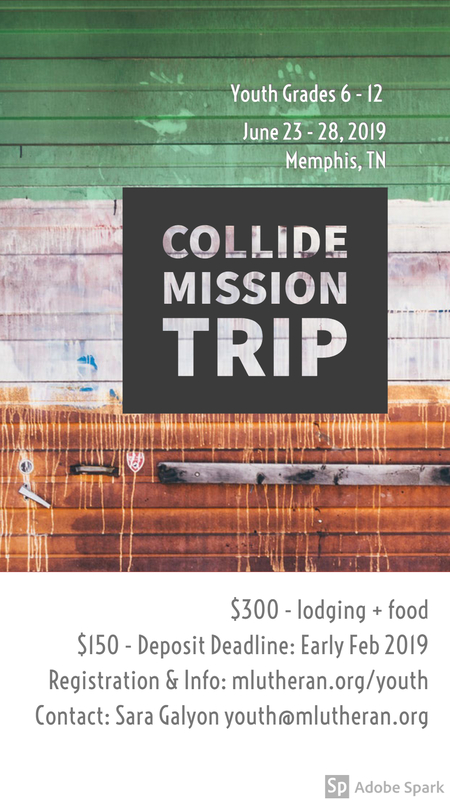 Time to build a community with peers outside of Christian education. MOES offers a chance to learn about various aspects of the church through participation in service, fellowship, intergenerational gatherings, and serves as a place to reinforce the role of the faith community in the life of kids. What is it? Jr. Youth is a stepping stone to Senior youth and enjoys plus a time to build a community together and a chance to become used to the structure of youth group. Jr Youth is a place to live into still being a “kid” while reaching towards being a teenager. Who: Grades 9-12 When: Regular meeting times Sunday night, 6-7:30, with other meetings/trips as announced. A safe space to discuss issues of faith, life, doubt and the world with youth and adults willing to engage youth in these areas. Parents: Children & Youth Fellowship Groups are not intended as a replacement for traditional Christian Education or Worship! First Communion classes are offered for youth 10 years of age or older, or close. Communion classes typically run consecutively for three weeks, are approximately 30 minutes in length and take place following the late service. Specific details concerning First Communion, it’s instruction and celebration are announced annually in December. If you are interested in First Communion classes for yourself or your child, please talk to Pastor Peterson or call the Church Office at 721-0041. At Messiah, we sponsor a two-year confirmation program for eighth and ninth grade students. Confirmation at Messiah is about faith formation, not simply faith information. We focus on being the church, not teaching about the church. Our program includes learning events, fellowship events, service events, and worship events. If you are interested in Confirmation classes for yourself or your child, please talk to Pastor Peterson or call the Church Office at 721-0041. Confirmation classes are held Wednesday evenings as scheduled through the year. Shop at Kroger? MLC Youth has a new Group Number! Support us while you shop. 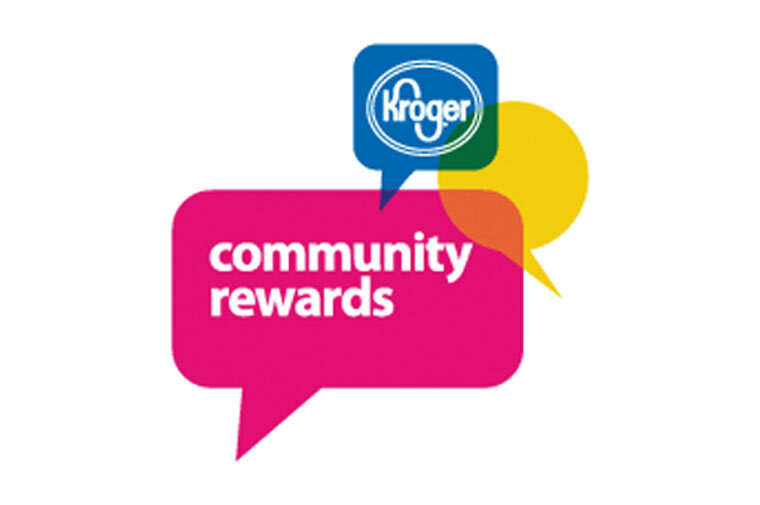 Sign up for Messiah’s Community Rewards account with your Kroger Plus card. Just log into your account and find the link to Community Rewards under Account Information. Sara relocated to the area with her husband, a fellow Youth Director, in June of 2016. She moved here from the Memphis TN area where she completed her Masters of Arts in Youth ministry at Memphis Theological Seminary. 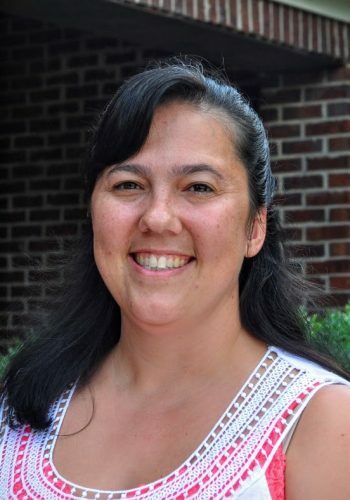 She is originally from the east coast where she grew up in the Delaware/Maryland Synod of the ELCA, and has an undergraduate degree in Spanish and International Agricultural Economics from the University of Tennessee Knoxville. Sara has a passion for working with young people, and has been in professional youth ministry for the past 7 years and has worked with teenagers in some capacity for the past 15. She enjoys helping students realize that God is very active in the world around them, and helping them find their place in God’s action. She also enjoys working with families as they navigate aiding their teenagers’ transition into college/career years. Outside of her role as Director of Youth and Christian Education Ministries, Sara loves to travel, read, and spend time with her husband Philip, and sons Andrew, Christopher, and Nathan.